The Victoria Peak Hong Kong , a.k.a. 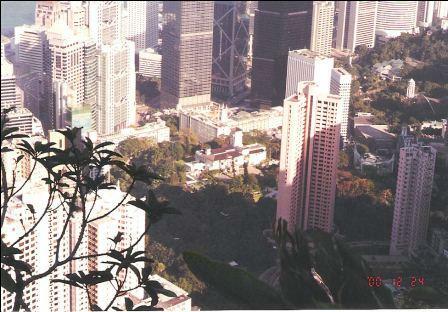 the Peak, to me, is another place like the Excelsior Hotel that grew up together with me. 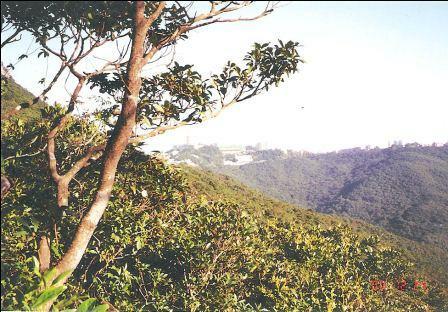 According to my mom, my dad loved to drive me up the hill ('cos he loves to speed on the winding road) every night and have a glass of sweetened ice lemon tea in the restaurant in the old Peak Tower where the new one currently is located. 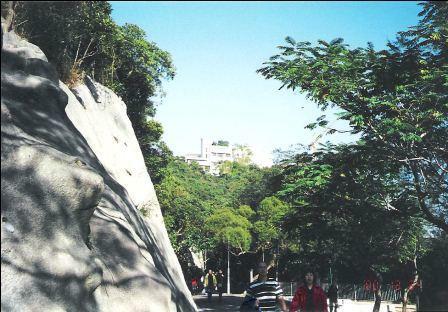 When you come to visit this tourist spot, you must try the peak tram Hong Kong. You can go there by other transportation means. But the tram will definitely give you an unforgettable experience. The lower tram terminal is right across from the Hong Kong US Consulate. You can take the MTR and get off at Central and take Exit J2 and walk uphill. You can purchase one way or round-trip tickets. Although a one way ticket is more expensive, taking the bus will give you another interesting experience. I would suggest taking one trip by the Peak Tram Hong Kong and the other trip by bus. 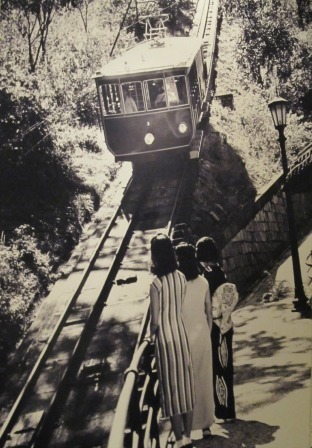 The Tram nowadays is much nicer and safer than in the past. When you get on it, you will realize right away how steep the slope is. 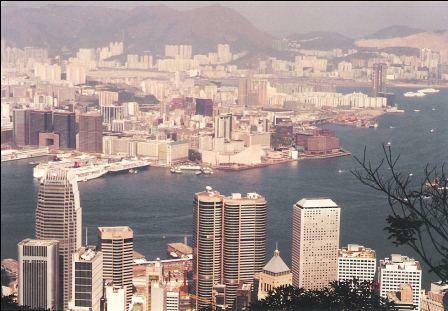 As it climbs up the hill, turn your head back and look at the beautiful Hong Kong skyline and the Victoria Harbour. It doesn't go very fast. The whole trip takes about 20 minutes. 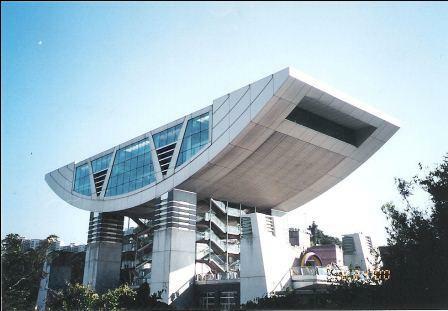 When the tram reaches the top of the hill, you will get off at the terminal inside the Hong Kong Peak Tower. That building was completed in 1997. Alert: Hong Kong public holidays are definitely NOT the best time to take the peak tram. It is because it will take almost forever to stay in the line before you can step into the tram. 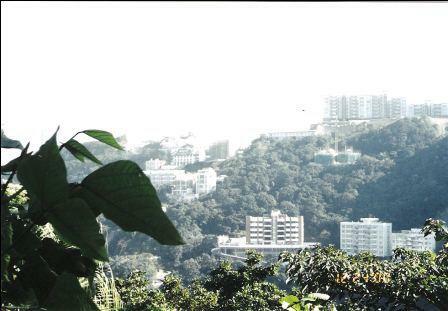 When we had our Hong Kong vacation back in 2012, we were at the Victoria Peak Hong Kong on the Chun Yeung Festival. People always follow the tradition to go to the hill, mountain or somewhere up high on that day. Men....the line was shockingly long. So, we didn't bother to get on the tram. 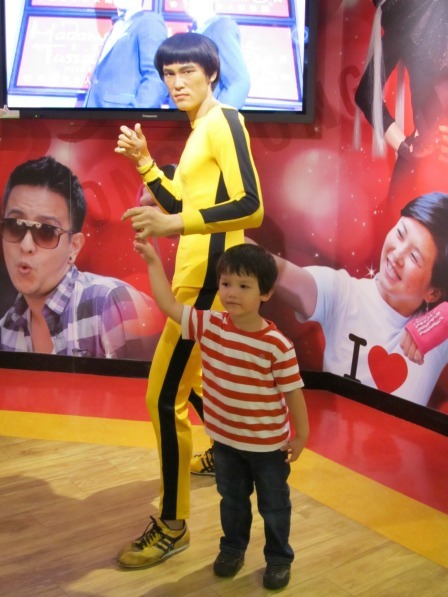 You can dine in one of the restaurants or visit the Madame Tussauds which exhibits many celebrities as wax statues. The size is 1:1 ratio (Life Size). They include some Hong Kong movie stars that you may or may not know and other world well-known celebrities and/or people in politics. I personally am not interested in this museum. So, I didn't step in and check it out. You can also check out the Sky Terrace in the Hong Kong Peak Tower for a 360 degree view of the Hong Kong Victoria Harbour. Before checking out the new stuff, let me introduce you to traditional scenic spots at the Victoria Peak. Stepping out of the Peak Tower, you will see a fountain in front of you. That is a shopping arcade, called the Peak Galleria, which is about the same age as the Tower. Instead of going towards the Galleria, turn left and follow the path and walk a couple hundred feet. You will reach a gazebo. If you see the rail of the Tram, you are on the right track. This gazebo is called the Lion Gazebo because it was built by the Lion Club, an organization in Hong Kong. It is also called the "Gazebo for the Fool". There is a Hong Kong saying, "There are many fools under the Peak." 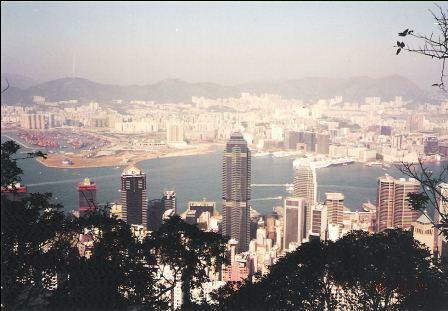 The following pictures will let you see the skyline of the Hong Kong Island and Kowloon Peninsula from the Victoria Peak Hong Kong. The Hong Kong Skyline from the Lion Gazebo Lookout. The night when we were there, it was foggy. The picture just does not do the justice of the beauty of its view. See the Hong Kong Convention and Exhibition Centre where the ceremony of the Handover took place in 1997. At night, you can see the beautiful Victoria Harbour. 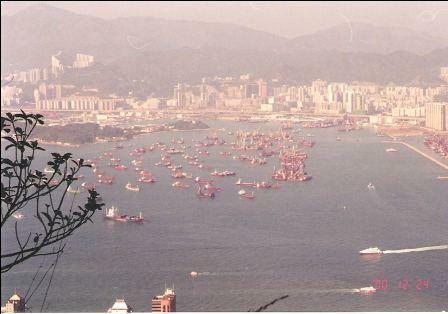 And by that time, you will understand why Hong Kong is called the "Pearl of the Orient". It is gorgeous and breath-taking. In my opinion, there is no other place that has a skyline like this in the world, especially during Christmas and Chinese New Year time. 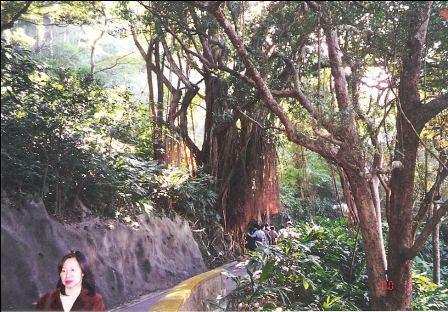 If you are here at the Victoria Peak Hong Kong during the day time and have an hour to spare, you can take a walk. 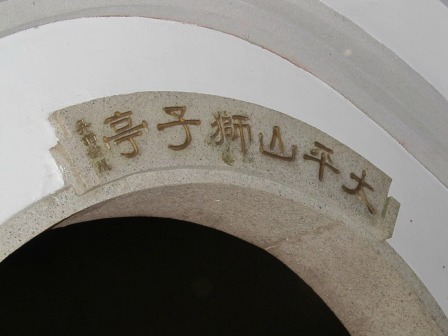 It is also known as the "Peak Circle Walk". 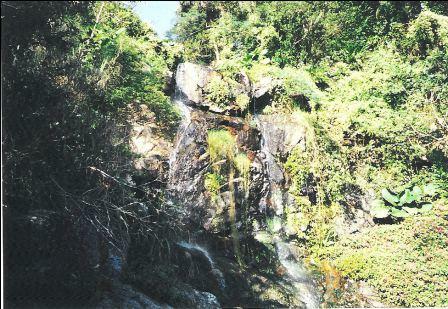 It is picked as one of the world's most scenic walk by Travel + Leisure. At the Peak Tower, turn right. toward Lugard Road. This is a path to go around the hill. 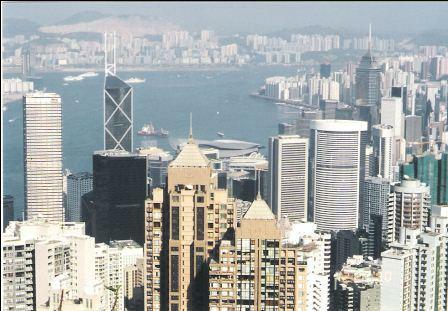 You can have a wider view of Hong Kong's Victoria Harbour, if you choose not to pay and visit the Sky Terrace. To complete the whole path without stopping in the middle for too long with relaxation, it takes about an hour. Make sure you have company with you and walk during the day for your safety purposes. This path has many of our footprints. We walked this path thousands of time. When I was 15 years old, our grandparents (from my father's side) moved in with us into a new and big apartment. It had a very nice harbour view. They had developed this habit for many years that they walked on this path every morning and went to McDonald's for breakfast. Since they moved in with us, we started to join them for the walk every weekend. I still remember my grandpa had to wear the first generation mobile phone on his shoulder. He enjoyed it so much that he sometimes found a bench and laid down to have a nap. The path, literally, starts and ends at the same place. You don't need to worry about getting lost. Between the entrance at Lugard Road and the exit at Harlech Road of the path, there is a road, Mount Austin Road, going uphill. You can reach the top of the mountain. Cars and mini-buses are allowed to be on that road. We sometimes walked uphill with our grandparents back then. Next to this intersection, there is a restaurant in the green. It's called the Peak Lookout Restaurant. It has been there for years. 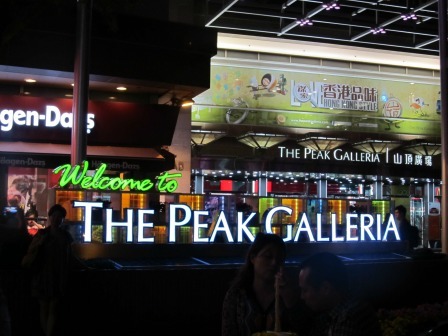 The Peak Galleria is relatively new. You may find some neat stuff in there. The last time when we were there, there was a chef making Chinese candies, called the "Dragon Beard" (coming soon link to Hong Kong Local Domestic Food page) that you can hardly find anywhere. There are also some decent restaurants with great environment in the Victoria Peak Hong Kong Galleria. The prices are very reasonable. Underneath the Peak Galleria, is the bus and mini-bus terminal. 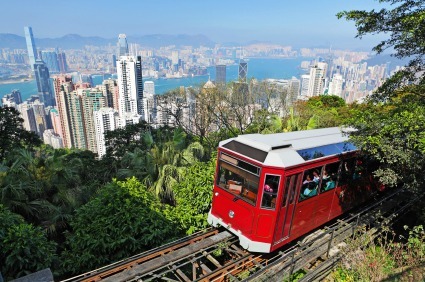 If you want to leave the Victoria Peak Hong Kong through one of these transportation means, you can go there. There are not many buses, but enough to take you to the places to get back to your hotel or other tourist attractions. You can take bus 15 or mini-bus no. 1 to go to Exchange Square station located in Central. 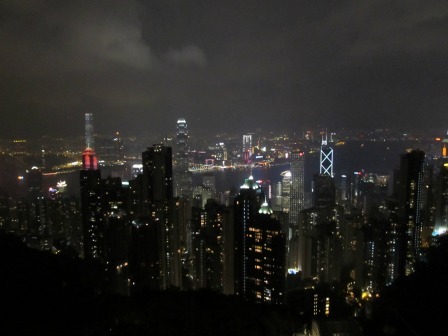 To have a complete tour of the Victoria Peak Hong Kong as mentioned above, I suggest you get there by 3-4pm when there is still daylight so that you can walk the path and then check out the rest of the stuff before dining in one of the restaurants at the Peak. Before you know it, it is most likely 8-9pm. Hours: 24/7, except the Peak Tram Hong Kong, places and stores located in the Peak Tower and the Shopping Arcade. Fee: FREE, except the Peak Tram Hong Kong, places and stores located in the Peak Tower and the Shopping Arcade.